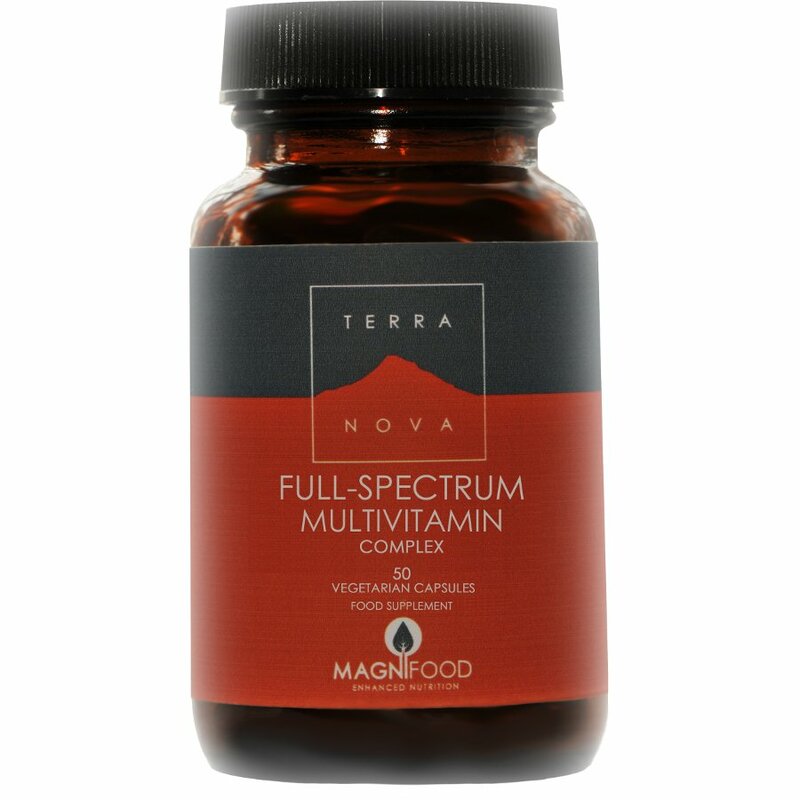 This Terranova multivitamin supplement contains a holistic blend of natural ingredients for an enhanced nutritional boost. This full-spectrum formula is based on vitamin-rich super foods and is a synergistic formula to optimise benefits to health and wellbeing. Fresh ingredients are freeze dried to preserve their purity and integrity. This product contains: green barley grass, spirulina, stabilised rice bran (SRB), blackberry fruit (fresh freeze dried), sea buckthorn berry/leaf (fresh freeze dried) and watercress (fresh freeze dried). 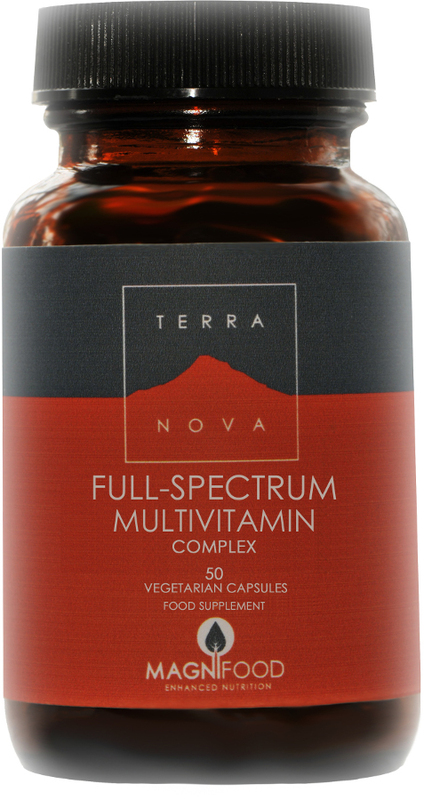 There are currently no questions to display about Terranova Full-Spectrum Multivitamin Complex - 50caps.